Skemp was a freelance illustrator for many major corporations, including Coca-Cola and Studebaker. A former Marine, he was also known for his seascapes and murals, which appear in many public collections, including those of the Pentagon and the Chicago Board of Trade. He did many 24-sheet billboards. 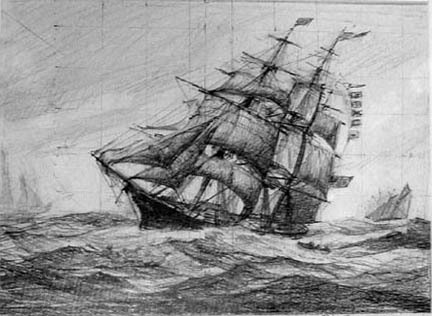 Skemp, Bob, “Clipper Ship,” Westport Public Schools Digital Collections, accessed April 24, 2019, https://collections.westportps.org/items/show/585.